Diane Klein – Essex Realty Management, Inc.
Ms. Klein is a Regional Manager with Essex. As Regional Manager, her role is to act as an executive point of contact for our owners and to provide support and experience to a designated number of our manager/assistant manager teams. Ms. Klein has been in the real estate industry for over twenty years and joined Essex in 2012. 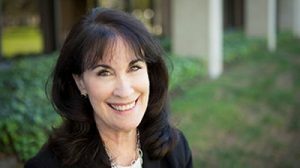 The majority of her career was spent with Downey Savings, a large institutional lending and real estate development company, as their Director of Property Management. Ms. Klein’s background includes overseeing 800,000 square feet of retail, medical and office buildings, including a 350,000 square foot Class A office high rise. She is very experienced in all aspect of the business including leasing, tenant relations, contract negotiations, and property operations. Ms. Klein is a licensed California Sales Person in the State of California.